Today is a significant day in our Country’s history. June 6th, 74 years ago marks the start of the assault by U.S. forces on the beaches of Normandy and 50 years ago marks the untimely death of Robert Kennedy. What does this have to do with Landscape and pool design and implementation, you might well ask. Well, June 6th also coincides with the start of warm summer days, kids winding down school and the advent of seasonal outdoor entertaining. 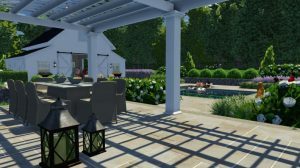 This is the time when the design professionals at IVY Studio, a landscape design and installation consulting firm based in the greater Boston area specializing in residential outdoor expansion projects are hard at work working with clients and their outdoor expansion projects. Contact us at 781-591-0300 or vern@ivystudioMA.com to start transforming your outdoor space into something historic.